At first glance when reading through the Bible, one would think that the Bible does not directly address the concept of free labor – the concept that immigrants should legally be allowed to travel and be employed without any overly encumbering restrictions. However, if one takes a closer look, one will notice several key biblical principles that can support the idea behind a biblical policy for immigrant labor. Moreover, economic data also reveals that there is also a net benefit that is achieved from immigrant labor. In Romans 13, Paul is clear that God gave the sword to the government to punish those who do evil and God expects the government to reward good behavior. The United States government does much good and it gets many things right. Yet, one of its grave shortcomings has to do with the issue of immigration. 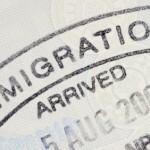 The current immigration system in the US can even be considered unjust due to three inherent flaws: (1) its regulations infringe on the Christian individual/business owners’ rights to be able to carry out God’s command to be hospitable towards immigrants, (2) its regulations are unrealistic towards immigrant laborers and employers, (3) and its regulations go against God’s command to do good for the nation’s people. First, the scripture makes it clear that God expected His people to be hospitable towards immigrants. The Hebrew word used to refer to resident aliens or immigrants in the Old Testament is gēr. This term is used to refer to both Israel and any other people group residing in a foreign land (Ex 23:21). In a sense gēr is referring to an individual’s status or position in the foreign nation. The scriptures also makes mention of the verb gur, which means to “reside [as an alien].” According to Rousas Rushdoony, the biblical laws dealing with hospitality towards aliens both “permanent and temporary” are dealing with those who resided in the land and not those foreigners who were just passing through. This concept of hospitality was a personal, individual, or familial decision to take care of the immigrant. God called his chosen people to treat the resident immigrant justly. In fact, the Old Testament is very specific in requiring the people of God to treat the immigrant as a protected class (Ex 20:10, 23:12; Lev 16:29). This is most clearly shown in Exodus 22:21 which states, “You shall not wrong a stranger or oppress him, for you were strangers in the land of Egypt,” and Deuteronomy 27:19, “‘Cursed is he who distorts the justice due an alien, orphan, and widow.’ And all the people shall say, ‘Amen.’” (NASB) In the book of Exodus, God reminds the nation of Israel that they were once resident aliens in Egypt. One can therefore infer that the reason God willed for them to remember this, was so they would make it a point to treat the immigrants in their land as they would have wished to be treated in Egypt. In other words, God expected his people to treat the immigrant labor justly. Bernhard Asen even further bolsters this point by stating that Israel was not just to treat the ger as a protected class, but the people of Israel were to also incorporate or include them into their society. Asen States, “in addition to protection, inclusion of the gēr into the community to share privileges also is seen as important.” This incorporation according to Christopher Wright included the “feast of weeks and booths,” and a resident alien who happened to be a hired laborer could also be included at Passover. Write argues the eligibility was based on the fact that they would have been included within an Israelite family with whom they were residing. Therefore, the people of God in the Old Testament were to be hospitable toward the resident alien and include and protect them as a class, just as they would have wanted to have been treated when they were in slaves in the land of Egypt. This concept is even more important if one looks at the teaching of Jesus. As he stated in Luke 6:31, “Treat others the same way you want them to treat you.” Thus, just as Christians would want people from other nations to give them help and employment, so that they could take care of their families, so then should Christians help out those immigrants who wish to labor for their families. However, this has proven problematic in the United States since there are unrealistic worker visa programs that make it almost impossible for Christian business owners to be able to be hospitable and have the opportunity to hire immigrant laborers who are in need. The current federal caps on immigrant labor incentivize many immigrants to come here illegally and risk being caught. Many of these people, if they could, would have obtained a work visa or a legal means to come to the United States. This becomes a problem, biblically, for Christians because as the chosen people of God they too should be hospitable towards aliens and any other class of people who should be protected. This is why the current immigration policy restrictions pose a dilemma for Christians, because while they are to be submissive and respectful to the government God has placed over them, they also have an obligation to protect and seek justice for those who are in classes that need to be protected, like the resident alien. Christian individuals/business owners should respect their government, while at the same time seek for a more biblical policy that will lead to a more realistic policy towards aliens seeking work, and continue to work to incorporate the alien into the community. This is all founded on the basic biblical concept of loving one’s neighbors and treating them, as the believer would want to be treated if he or she were in a similar situation. The second problem with the immigration system is that it has unrealistic regulations on immigrant labor. As previously mentioned, the scriptures do not ban migrant or immigrant labor. Rather, it takes for granted that foreigners would be around and would need protection. Just as prohibition failed because it was an unrealistic regulation on human action; so too the current immigrant labor quota system is failing because it is unrealistically regulating labor. There is not a biblical mandate on the total number of immigrants a nation should allow to enter its borders; rather, the Scriptures simply presuppose that resident aliens will be around. The guest worker program in the United States is broken down into three major sections H-1b(skilled labor) which is capped at 65,000 persons and the H-2a(agricultural) and H-2b (non agricultural) visas – both capped at 66,000. These all do not even come close to meeting the demand for labor that many American industries need. Labor Department requirements mandate U.S. employees be treated similarly to migrants, but Obama officials created a new definition of ‘corresponding’ treatment that could be interpreted by courts to include the housing, transportation, and in some instances, meals that H-2A regulations require employers to supply to migrants. Disgruntled employees who are citizens or permanent residents could sue under the ambiguous definition and potentially collect damages. The current administration has also passed new regulations on highly skilled laborers with H-1b visas that are adding cost to businesses that would keep their business here in America if it were not for these added costs. One such regulation dictated that no company who had employees with H-1b visas could be eligible to partake in federal bailouts through the Trouble Asset Relief program known as TARP. There has also been an increase in the processing fees of business with more than 50 employees who wish to higher immigrants with H-1b visas “from $325 to as much as $2,300.” These are all added cost that do harm to business and ultimately the nation’s economy. All of these added costs and legal liabilities incentivize farmers to hire illegal immigrants. The caps on legal immigration also incentivize immigrant workers to come work in the United States illegally, even with increased federal enforcement. The fact is, “if the extra cost of such enforcement[along with these new regulations] is larger than the net fiscal cost of illegal immigration, then driving illegal immigration to zero would fail a cost benefit test.” Current federal enforcement for hiring legal immigrants may cost more than to take a risk to higher immigrants who are not authorized to be here. A perfect example of this risk taking by business owners can be found in Arizona, since it passed the Legal Arizona Workers Act (LAWA). LAWA required Arizona employers to use E-verify to ensure the legal status of their employees. In response to this law, employers and immigrants responded differently. First, there was an increase in self employment by 73%, of which, “about 25,000 Arizona Hispanic noncitizens dropped out of the formal wage market and became self-employed.” Moreover, employers responded with only a “72 percent” participation rate in 2010, and a “67 percent in 2011.” The reality is that this is a Genesis 3 world; unrealistic laws like prohibition and immigration labor regulations are unjust because they do not coincide with basic human nature. The government should seek to do good for its citizens (Rom 13:4), and placing unrealistic labor restrictions that incentivize individuals to sin by breaking laws is not good. This is why Christians should seek to reform immigrant labor laws to be more free and open by removing these unrealistic restrictions. Thirdly, the current immigration policies inhibit economic growth and reduce national productivity. This is counter to the idea that, “one of the primary responsibilities of government is to act as God’s servant to ‘do good’ for the citizens of a nation (see Rom. 13:4).” The reality is that immigration will increase the nation’s ability to produce and therefore increase economic growth. Yet, there are some detractors who disagree with this position like Californians for Population Stabilization (CAPS), and possibly the most academic detractor when it comes to low skilled immigrant labor is Economist George Borjas. Approximately one third of all garment workers in the United States are immigrants. If wages needed to be higher to get Americans to take the jobs, many of these jobs would have gone overseas. .. In Arizona, for example, only 30 percent of the 2004 lettuce crop was harvested; the rest was left in the ground to rot. Losses were nearly $1 billion. Farmers certainly could have paid higher wages to get the crop harvested, but losses would presumably have been even greater. In the end, an increase in wages could result in a loss of productivity and economic growth. Another proponent of the idea that immigrants are taking “American jobs” is Harvard Economist George Borjas. In 2010 he coauthored an article arguing that African American incarceration rates were on the rise because low skilled immigrants were taking their jobs. Diana Furchotgott-Roth explains the flaws in Borjas’s study. First, African American men started to “withdraw from the labor force in the 1960s,” when immigrants made up “less than 1 percent” of the labor force.Moreover, “The percentage of black men between ages 16 and 24 who were not in school, not working, and not looking for work rose to 18 percent in 1982 from 9 percent in 1964. It then reached 23 percent in 1997 and remained at that level as of 2011.” Finally, Borjas does not even mention in his study the changes in laws and policies, nor does he consider how both have been enforced. Therefore, immigration is not the reason for the rise in African American unemployment or the direct reason for the increase in their incarceration rates. Another problem with this argument that immigrants take American jobs is the fact that, many more families are moving towards both parents working outside of the household. Hanson found that this, “often requires hiring outside labor to care for children, clean the home, launder clothes, and tend to the yard.” He also found that the in cities where immigrant labor was prevalent that these services were more affordable. Borjas in several of his studies showed that cheap immigrant labor harms the high school dropouts by reducing their wages. In 2003 he claimed wages dropped by 9%, in 2004 by 7%, and in 2006 by 5%. There are two other studies worth noting. One is by David Card which showed that low skilled immigrant labor reduced low skilled workers wages by 3 percent in cities where the population of immigrants was higher. The second study was done by Giovanni Peri, who found that immigrants only cause 0.7 percent decrease in low skilled workers’ wages. In other words, even though wages are depressed for high school drop outs, there is not enough decisive evidence to point out how much wages are lowered, nor is there enough negative evidence to call for a reduction in low skilled immigrant labor compared to its benefits. There any many benefits to having affordable labor. As previously mentioned, in cities that boast a high percentage of low skilled immigrant labor, goods and services are provided at a more affordable rate. This translates into cost savings for the population as a whole. It is imperative to understand that the total national income is not lost from these savings; rather it is redistributed by creating employer gains and savings for consumers. The savings for the consumer will allow them to later choose where they would like to spend the extra cash, which would in turn help another business, consequently, helping the employees of that business. In the end, the wealth is not lost. In addition, high skilled laborers who are paid less than native born employees actually add to economic growth and job creation. Economist Peri explains that “firms pay immigrants less than their marginal productivity, increasing the firms’ profits. Such cost savings on immigrants act as an increase in productivity for firms…[T]his allows firms to expand production and employ more people in complementary task many of which are supplied by natives.” Therefore, immigrant labor helps to creates more affordable goods and services by increasing profits to businesses and helps them to employ more Americans, which are net benefits, instead of a net loss. In conclusion, a biblical policy towards immigrant labor would be to allow for a freer more open system, because it fulfils God’s command that the government do good to the people, and it allows Christian individuals/business owners to legally carry out God’s command to be hospitable towards immigrant laborers. This should include the removal of federal caps on labor and a shift towards a system where the free market decides the number of laborers that are needed. There should also be a removal of unrealistic federal mandates and regulations that make it harder for business owners to legally hire immigrant labor. A policy based off the free market would not just benefit the United States, but it would also benefit the immigrant who comes to the United States to make several times more than he or she could have earned in their home nation. In many cases, this move would also improve the immigrant’s standard of living. Some may argue that these immigrants harm low skilled native born workers; but the reality is that these people already have protections which come in the form of unemployment insurance, welfare, food stamps and so on. Ultimately, the government’s job should not be one of creating jobs, but one of being just. A just society creates the ideal framework for economic growth and prosperity – for both the citizen and the immigrant. The term freer labor is used instead of Free Labor because, the author does not believe in open borders, but does believe that the free flow should be allowed by the Government who should screen and have limited regulations, but not cap allowing people to freely and legally come to work in the United States. Baker, D. L. Tight Fists or Open Hands? : Wealth and Poverty in Old Testament Law. Grand Rapids, Mich: William B. Eerdmans Pub, 2009.178. Baker, Tight Fist Open Hands, 178. This verb “gur” (1481a.גּוּר)has been translated by the NASB several ways which many can convey the idea of residing, or dwelling: “abide*(1), alien(1), aliens(1), assemble(1), colonize(1), dwell(3), dwells(1), habitation(1), live(4), live as aliens(2), lives(1), reside(13), resided(1), resides(3), sojourn(11), sojourned(9), sojourning(1), sojourns(13), stay(6), staying(4), stays(1), strangers(3).” Robert L. Thomas, ‘1481aגּוּר gur.” New American Standard Hebrew-Aramaic and Greek Dictionaries : Updated Edition (Anaheim: Foundation Publications, Inc., 1998). Rushdoony, Rousas John. The Institutes of Biblical Law 2, Law and Society. (Nutley, N.J.]: Craig Pr, 1982.):199. M. Daniel Carrol R., Christians at the Boarder: Immigration, the Church, and the Bible. (Grand Rapids: Baker Pub. Group, 2008): 95. Carrol, Christians at the Boarder, 103. Bernhard Asen, “From Acceptance to Inclusion: The Stranger (גֵּר /gēr) in Old Testament Tradition, in Christianity and the stranger: historical essays. (ed. Nichols, Francis W. Atlanta, Ga: Scholars Press, 1995): 16-35. Christopher J. H. Wright, God’s People in God’s Land: Family, Land, and Property in the Old Testament. (Grand Rapids, Mich: W.B. Eerdmans Pub. Co, 1990. ): 101. Wright, God’s People in God’s Land, 101-102. United States citizen and immigration services, “Cap Count for H-2B Nonimmigrants,” 17 April 2013, (21 April 21, 2013). Andorra Bruno, “Immigration of Temporary Lower-Skilled Workers: Current Policy and Related Issues,” Congressional Research services. (2012): 9. Immigration Works USA, “Reduced Access: New Regulations Aimed at Temporary Worker Visas.” (2009):1. David Beir, “Obama’s Secret Anti-Immigrant Campaign.” Real Clear Politics.com, 9 July 2012, (16 April 2013). Beir, Obama’s Secret, 2012; & Immigration Works USA, “Reduced Access,” 2009, 3. Gordon H. Harrison, Immigration and Economic Growth, CATO Journal. 32, 1 (2012): 31. Alex Nowrasteh, The Economic Case against Arizona’s Immigration Laws, Cato Policy Analysis No. 709. (2012).9. Nowrasteh, The Economic Case, 9. Wayne Grudem, Politics According to the Bible: A Comprehensive Resource for understanding Modern Political Issues in the Light of Scripture, (Grand Rapids, Zondervan, 2010), 269. Californians for Population Stabilization (CAPS), “Press Release: Memorial Day TV Ad Ask why President Obama is admitting millions of Immigrant Workers when 1 in 3 Young Veterans are Jobless.” 22 May 2012. Benjamin Powell, An economic Case for Immigration, 7 June 2010. Powell, Case for Immigration, 2010. Borjas, George J., Jeffrey Grogger, and Gordon H. Hanson. 2010. “Immigration and the Economic Status of African-American Men.” Economica 77, no. 306: 255-282. Diana Furchotgott-Roth, “The Path Forward for Immigration”. Manhattan Institute for Policy Research. 12 December 2012.8. Furchotgott-Roth, The Path Forward, 2012, 12. Harrison, Immigration and Economic Growth, 2012, 28. Furchotgott-Roth, The Path Forward, 2012, 9. Peri, Giovanni. “IMMIGRATION, LABOR MARKETS, AND PRODUCTIVITY.” CATO Journal 32, no. 1 (Winter2012 2012): 35-53.44. Asen, Bernhard, “From Acceptance to Inclusion: The Stranger (גֵּר /gēr) in Old Testament Tradition, in Christianity and the stranger: historical essays. ed. Nichols, Francis W. Atlanta, Ga: Scholars Press, 1995. Beir, David, “Obama’s Secret Anti-Immigrant Campaign.” Real Clear Politics.com, 9 July 2012, (16 April 2013). Bruno, Andorra, “Immigration of Temporary Lower-Skilled Workers: Current Policy and Related Issues,” Congressional Research services.2012. Carroll R., M. Daniel. Christians at the Border Immigration, the Church, and the Bible. Grand Rapids: Baker Pub. Group, 2008. Furchotgott-Roth, Diana ,“The Path Forward for Immigration”. Manhattan Institute for Policy Research. 12 December 2012.8. Grudem, Wayne, Politics According to the Bible: A Comprehensive Resource for understanding Modern Political Issues in the Light of Scripture, Grand Rapids, Zondervan, 2010. Harrison, Gordon H., Immigration and Economic Growth, CATO Journal. 32, 1 (2012): 31. Nowrasteh, Alex, The Economic Case against Arizona’s Immigration Laws, Cato Policy Analysis No. 709. (2012).1-20. Powell, Benjamin , An economic Case for Immigration, 7 June 2010. Rushdoony, Rousas John. The Institutes of Biblical Law 2, Law and Society. [Nutley, N.J.]: Craig Pr, 1982. Thomas, Robert L. ‘1481aגּוּר gur.” New American Standard Hebrew-Aramaic and Greek Dictionaries : Updated Edition,Anaheim: Foundation Publications, Inc., 1998. Wright, Christopher J. H. God’s People in God’s Land: Family, Land, and Property in the Old Testament. Grand Rapids, Mich: W.B. Eerdmans Pub. Co, 1990. Reposted with author’s permission – original link. Editors note: as with all blog postings that appear with a by-line, the opinions presented are the author’s and not necessarily the positions of Cafe Con Leche Republicans. 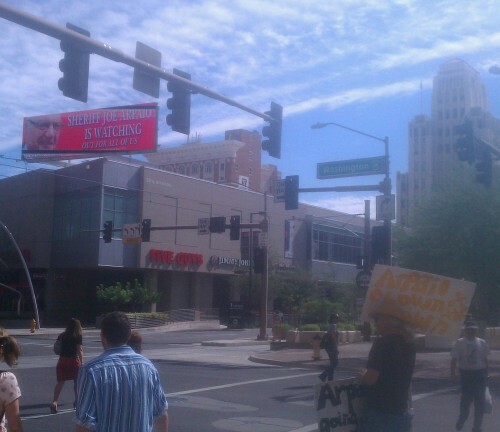 Thomas Martin Salazar is an Arizona leader of the Café con Leche Republicans. Thomas was born and raised in Arizona. He holds a Bachelor’s degree in History from Grand Canyon University and is currently working on obtaining a MDiv in Biblical Communication from Phoenix Seminary. Thomas has also served as the Grand Canyon University College Republicans Vice President and interim President (February 2007-April 2008) and as a Maricopa County Republican Precinct committeeman (August 2009 – August 2012). Immigration reform should be viewed as a matter of national security and not social engineering. Currently our immigration system is more about family reunification than it is about economic needs and national security. In fact, the current system is so broken that we have millions of undocumented people wandering around the country, and we have no idea who they are, why they are here, or the history of their background. The current system must be reformed, not to pander to the voting block of one particular group or another, but rather because our national needs require it. Many times groups try to label any attempt at immigration reform as amnesty. They dig their heels into the ground screaming “Amnesty, Amnesty” like it is some kind of honorable battle cry. The reality is, their blocking of immigration reform has actually granted a de facto amnesty to those who have entered the country illegally and those who entered legally but remained after their visas expired. Millions of people are allowed to stay without examination as to purpose or history. This is a dangerous situation to us all. Furthermore, our current stance of increasing border security (which should continue) without correcting the problems of our broken immigration system have led to much lawlessness along the border and across the nation. While our borders have become more secure, we do not have any kind of guest worker program for people to come here legally, which has created a market for human trafficking and slavery. Instead of simply applying for a legal work permit, people who are starving for work to support their families are forced to engage in criminal behavior to come here. Not only do they spend thousands of dollars to human smugglers, they end up bringing their families because it is too difficult to come and go legally. The revenue of human trafficking along our borders also helps fuel the armies of the drug cartels. 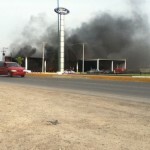 A virtual civil war is going on along our southern border making parts of Mexico more dangerous than Iraq. Thousands of Mexicans are being killed because of this. Furthermore, once the human cargo has arrived in the United States, we have created more lawlessness as many unscrupulous employers will illegally hire these workers and improperly misclassified them as independent contractors, pay them sub-standard wages, steal wages from their workers and deprive the government of much needed tax revenue. Most of the millions of people who are here and who come here illegally, do so without any evil intent. They come here seeking work and wages whereby they can support themselves and their families. But for those who do come here with criminal intent, our broken system enables them to hide in the shadows. Once they have committed crimes, they can simply change their names and disappear into the darkness, or they can simply move to another community and start over again. A reformed system should provide for a biometric identification system which would render annonymity much more difficult. In addition to the national security needs of our nation, immigration reform is also needed for economic reasons. Despite the fact that our nation suffers from high levels of unemployment and underemployment, there is still a high and unfulfilled demand for manual labor workers. Our current education system is focused on sending people to colleges and universities for high-paying white-collar jobs. In the mean time, employers in the service, construction, agriculture and many other industries struggle to find workers. Immigration Reform and Guest Worker Programs are not about providing cheap labor to employers. It is about providing workers who are willing to do the work. I remember hearing President Bush, in a State of the Union speech, say that we need immigrant workers to do the jobs American’s won’t do. I was angry – very angry. I thought that was a lie. But as I have studied this problem and talked with employers who want and can’t find legal workers in adequate supply, I have learned that it really is true. 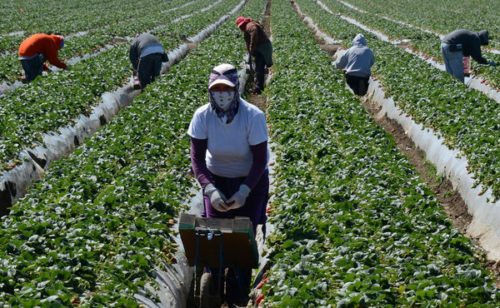 Groups like FAIR, the Center for Immigration Studies, and NumbersUSA claim that a guest worker program would create a slave-labor class of workers. The exact opposite is true. Our current broken system has already created a slave labor pool of unidentified workers who cannot compete in the open marketplace and who are afraid to report substandard wages and wage theft. Workers participating in a legal guest worker program would be able to compete in the open marketplace for jobs. If an employer attempted to abuse the worker’s rights either by paying substandard wages or comitting wage theft, the worker would be able to report the employer’s unethical and illegal behaviors as well as move to another job. Immigration reform would also help legitimate employers in the marketplace. Under our current system, unethical employers are able to have an improper competitive advantage over companies who seek to follow the law. They do this by avoiding taxes through misclassifying workers as independent contractors, paying substandard wages and even stealing wages from a captive slave-labor market. In addition to unfair business competition, these unethical employers also place a burden on taxpayers. By misclassifying workers as independent contractors, they allow deadbeat parents to hide from the child support collection process thereby adding single parents not receiving child support to our welfare roles. Furthermore, by not providing workmen’s compensation and health insurance benefits to their “independent contractors”, workers who are injured on the job end up being dumped in emergency rooms adding to our expanding healthcare costs. Additionally, many of these employers hold these workers under hostile conditions where they are truly held as captors in a slave-labor market. 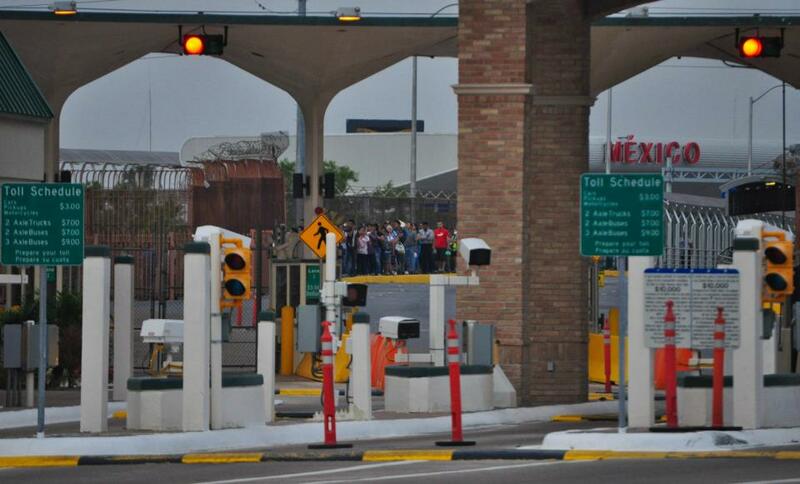 Border Security and Immigration Reform must both move forward. Not because it is pandering to one side or the other, but because it is the right thing to do for our nation’s security, social and economic needs. The current standoff plays into the hands of Democrats who want to keep the issue as a wedge issue to separate some conservatives from voting for Republicans. But more importantly, it is simply an ongoing amnesty for the people who are here and for those who illegally and improperly profit from this stalemate. We must continue to make the borders more secure, but we cannot wait until some date in the future to also address the issue of reforming our broken immigration system. Joe has always been there for us, now it’s our turn to be there for him. 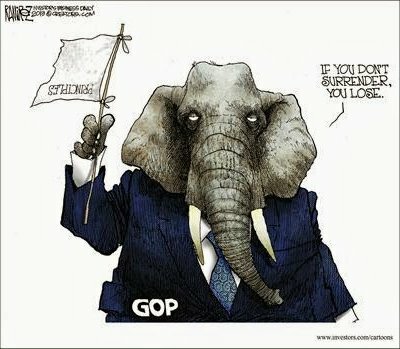 Help get out the Republican vote! Give the chronically unemployed something to do for the next 4 years. As the AP wrote on 10/22/12, “A federal judge refused to order counties to accept new voter registrations without the proof of citizenship mandated by Proposition 200.” U.S. District Judge Roslyn Silver rejected arguments by various groups that federal law requires counties to honor a national mail-in voter registration form that does not require applicants to prove they are citizens. Silver said the requirements of the National Voter Registration Act are simply a starting point. She said states are free to enact measures – including requiring proof of citizenship – to make sure those people who sign up to vote are in fact legally qualified to do so. Monday’s ruling does not end the lawsuits filed by organizations ranging from the Mexican American Legal Defense and Education Fund and the League of Women Voters to the Inter Tribal Council of Arizona. It simply denies them the restraining order they sought for immediate relief. Frustrated with the moves by Democrat then-Governor Janet Napolitano and the U.S. Congress’ efforts to reward illegal immigration by granting aliens licenses, government benefits, amnesty and the right to vote, I wrote Proposition 200 and with the help of wonderful Patriots took our battle to the streets; and gathered well over the needed signatures of 122,612 registered voters to put “Arizona Taxpayer and Citizen Protection Act” on the 2004 ballot. In November of 2004 it passed over whelmingly by the voters of Arizona. 1. Proof of citizenship to register to vote. 2. Photo I.D. When voting. 3. Proof of eligibility to receive public benefits. Remember the 100,000 illegal alien march? There chant was “today we march, tomorrow we Vote”. Prop. 200 gave us standards, so out of 100,000 protest marchers only 126 were able to register to vote. Apparently this offended the pro illegal alien crowd to actually require some evidence or proof and so they have taken Prop. 200 to court 7 times and always lose. Their effort is a continuous endeavor to gain political control at any cost, even if it means further destruction of the Rule of Law. They continue to invent arguments, while the whole issue is about ‘illegal’ vs. ‘legal’ and giving rights and benefits to people who are not entitled under the Constitution or the laws. The issue is about corruption by the left in political power, and the cheap labor crowd (Profits over Patriotism as I call them) while the citizens and taxpayers pick up the tab. There is currently a battle raging in our country that will determine whether our nation enforces its immigration laws and secures its borders or becomes a victim of its enemies. We are a nation built upon the “rule of law,” and either we stand up for the principles that our Founding Fathers gave us to ensure lasting liberty, enshrined in a Constitution that protects those liberties, or we destroy all that is sacred and the end result will be a nation that commits suicide. I am the author of Proposition 200 in 2004 to stop voter fraud and taxpayers from abuse and fraud, The Arizona’s Legal Workers Act to protect jobs for Americans (upheld by the Supreme Court by a 5 to 3 decision in 2011), and SB1070 in 2010 to remove illegal sanctuary policies and allow law enforcement to enforce our immigration laws, among many others. SB1070 is supported by over 70% of Americans and 11 of the 14 sections were found to be legal, Constitutional and common sense by the Supreme Court. I wrote all of these to protect Arizona jobs, taxpayers, the integrity of our elections, including as MVD Director in 1996 NO drivers license if not “legally present” in the United States, I authored Proposition 100, 102, 103 and 300 all passed by 75% of Arizonans in 2006. It has been a long fight to preserve the rule of law and protect the taxpayers and citizens of this state. They say this initiative is divisive? Like its name says, it seeks to protect Arizona taxpayers and citizens. The only divisiveness our initiative could cause might be between those for whom laws matter and those for whom laws don’t matter. Our local, state, and federal officials steadfastly refused to protect our borders and enforce our immigration laws. No longer can we sit on the sidelines and be spectators to the destruction of the Rule of Law or the cost to our citizens in crime, billions in dollars, jobs taken from Americans. Enough is enough. We must hold our elected and appointed officials accountable. It is up to us to do something about illegal activity and the issues of voter fraud and theft of taxpayer dollars. Fight, fight, fight, and (in the words of Winston Churchill) never, never, never, never give up!